One of Windows’ most historic applications—and one of Windows 10’s few remaining native desktop programs—is receiving a radical overhaul in the free Windows 10 Creators Update releasing next spring. 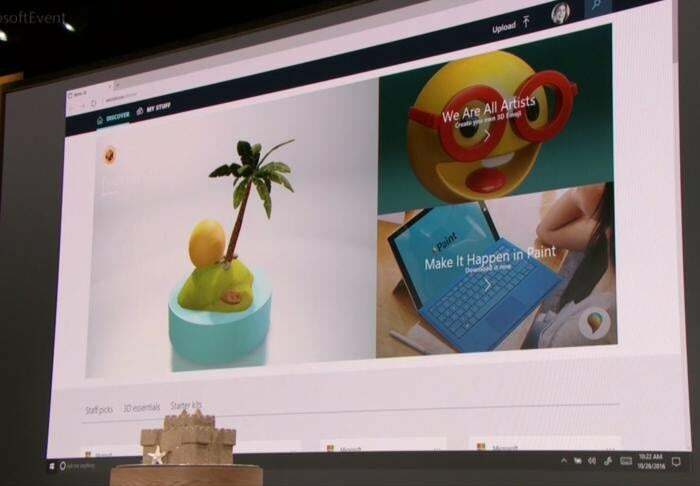 The venerable Paint’s being transformed into Paint 3D, a Windows Store app brimming with new features designed to bring two-dimensional images to life. 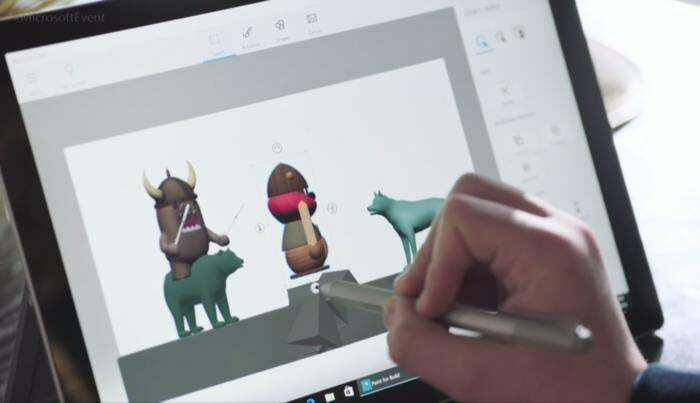 Paint 3D’s loaded with tools focused on making 3D image manipulation easy-peasy. The long-known Pencil tool now seamlessly works on any 3D objects, while new Sticker and Doodle tools exist to stamp 2D objects onto 3D images and convert 2D drawings into 3D images, respectively. A new Magic Select tool lets you remove the background from an image, leaving you free to work the primary object into 3D images with smart depth-selection and scaling capabilities. But bringing physical objects into the digital world goes even deeper than that; Paint 3D also integrates with a new “Windows Capture 3D” tool being introduced in Windows 10. 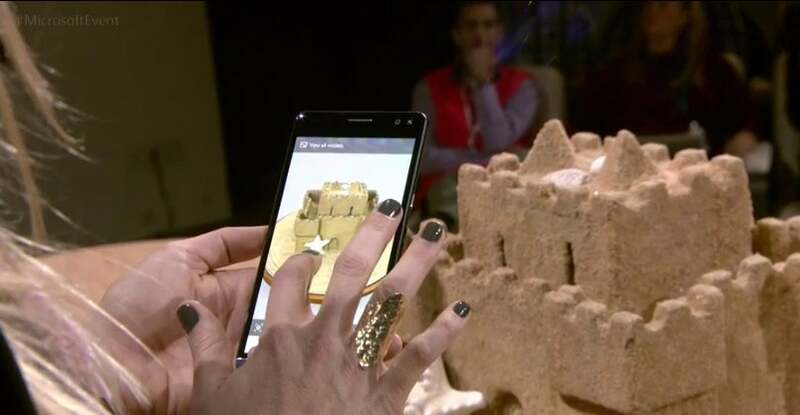 It’s essentially a 3D scanner app; you slowly walk around the physical object with Windows Capture 3D open on a Windows 10 Mobile phone, and the app captures it as a 3D image that can be imported into Paint 3D. Nifty! Microsoft’s also launching a Remix 3D website where people can share 3D images they’ve created, to build up a stock image database that anybody can tap into. Windows 10’s newfound infatuation with 3D images extends into the wider Microsoft ecosystem, too. With the Windows 10 Creators Update, you’ll also be able to export your 3D creations from Minecraft into the Remix 3D database, and study your Paint 3D-created images using the company’s HoloLen’s augmented reality headset. 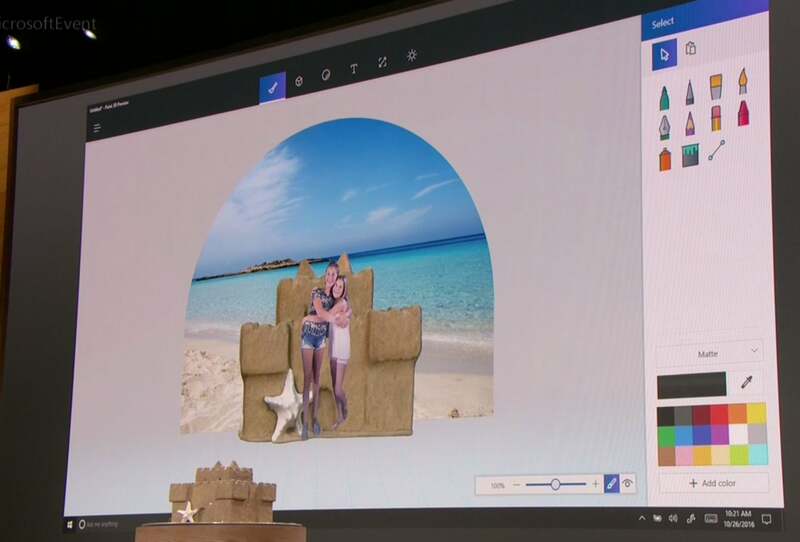 You’ll also be able to share your Paint 3D creations directly to Facebook. Will Paint 3D replace the traditional Paint app entirely, or will both live on as counterparts focused on 3D and 2D image manipulation, respectively. Microsoft didn’t say, but we’ll know when the Windows 10 Creators Update rolls out next spring.